Amanda Watters is responsible for a wide range of Leed’s samples and literature fulfillment activities, including operational continuity, client service management, performance metrics (KPI) management, shopping cart design and maintenance, new client sales assistance, and monthly billing and invoicing. She also oversees fulfillment warehouse processes including staffing, layout and design, receiving, picking, packing, kitting, inventory cycle counting, and shipping. Prior to joining Leed in 2004, Amanda served as risk management manager at OneStar Long Distance, and computer technical support and office manager for CarParts Technologies in Evansville. She earned her B.S. degree in Management Information Systems from Western Kentucky University. Amanda enjoys spending time with her husband and family. 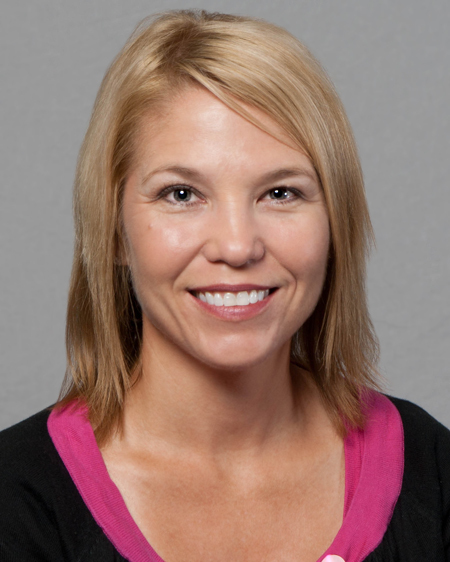 Outside of Leed, Amanda enjoys training and running half-marathons and playing an occasional round of golf.